One is fed up of hearing that Urdu has become a language of Muslims in India and that the language has lost favour even amongst the Sikhs and sections of Punjabis who had kept the language close to their heart for decades after partition. That may be true to a large extent but at the recent Sahitya Akademi Bhasha Awards function, it was clear that at least Urdu literature and poetry has no dearth of non-Muslim writers in India even today. Quite a heartening sight indeed. In Urdu poetry rendition most of the poets were non-Muslim like Gulzar, Pritpal Singh Betab [from Jammu], Jayant Parmar [from Gujarat], Sheen Kaf Nizam ie Shiv Kumar Nizam [from Rajasthan], Chandrabhan Khayal etc. 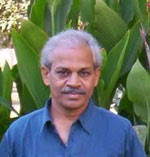 The Sahitya Akademi president Gopi Chand Narang, whose mother tongue is Saraiki [spoken in Pakistan] is considered an authority in Urdu criticism. He was also present there. A lady journalist who had gone to interview the litterateurs was astonished as she thought they were all poets of Hindi. However, they turned out to be that of Urdu. The poets were visibly sad at the plight of Urdu in the country. Khayal, who has composed the life of Prophet Muhammad in poetic form recently, echoed similar sentiments. "No language is identified with religion except Urdu, he said. "Unfortunately Hindu writers are given so much respect amongst Urdu-speakers." "But most Hindus believe that Urdu is a Muslim language, kuchh halaat hi is mulk ke aise ban gaye hain, kya kiya jaye", he said in an almost resigned tone. 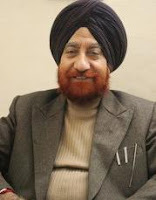 "Mai.n daae'N pahluu baith jaataa huuN to Hindi likhta huuN aur baa'eN pahluu baith jaataa huuN to Urdu jo jaati hai", said Sampooran Singh Kalra more popularly known as Gulzar. I have tried to compile a list of Muslim bloggers of India. The aim is that people should know what Muslims feel and think. Blogs are a great medium to present Indian Muslims' voice that often doesn't reach others. This list was made when there were barely a couple of Muslim bloggers from India and there was a psychological pressure that Muslims don't speak up on various issues. So the aim of the list was to show that Muslims of India are no monolithic, they are as diverse as other Indians, they are speaking up, there are lots of liberals among them, they have their own dreams, there are blogs about poetry, personal interests, women issues, religion, society and all other topics under the sun. Though I couldn't find many Muslims from India who are very serious bloggers but the number seems growing. The interaction with Indian Muslims on blogosphere may help in removing the stereotypes of the community and the often negative portrayal. Some of the above mentioned bloggers are living abroad. Besides, I was unsure about nationality of some bloggers or their identity. If there are any mistakes in this list, do tell me, I will correct that immediately. Like rest of the Indians, Muslims of this country also come from all sections, there are female bloggers, software professionals, students, serious thinkers, happy-go-lucky guys, those interested in movies, cricket and poetry et al. I have found 100-0dd bloggers but many are redundant, some are topic-specific and I wish to present a vibrant Indian Muslim blogging community. So here I am posting only 50-odd blogs. And my blog you are already on: Indscribe's Mindspeak, Best Urdu Ghazals & Nazms and Urdu India. A gentleman, Rao Sahab, has asked me about literary works of Indian Muslims that can give him a peek into the culture, thought process, fears, anxieties, hopes and aspirations of the minority community. I think the post should be regarding novels on Indian Muslims. Yes there are some books which are a must read for not just Muslims but non-Muslims in this country as well. I thought I should share with you. I recommend these books to everybody. Here is a list of the major works of fiction, many of whom have been translated in English and Hindi also. 1. Qurratul Ain Haider's Aag ka Darya translated as River of Fire is one of the greatest novels ever written in any language. The characters of Gautam Nilambar, Kamaal and Champa appear in different eras--from the period of Chandragupta Maurya to Sultanate era, Mughals, arrival of East India company and later when India gets divided into Hindustan and Pakistan. 2. Abdus Samad's 'Do Gaz Zameen' that deals with psyche of Muslims until Bangladesh's creation and after. It has been translated in almost a dozen languages. 3. Salahuddin Parvez' Shinakhtnaama or Identity Card, a landmark work in the backdrop of Ayodhya Movement. Apart from the story, its the style that captures the imagination of the reader. 4. Rahi Masoom Raza's 'Topi Shukla', a must-read for all Indians, a small novel originally in Hindi which I am sure can change the thinking of fanatic Hindus and Muslims and force them to introspect. The boy who was dark complexioned, not loved by parents, hated Muslims in his young age and took admission in Aligarh Muslim University (AMU) to see these 'anti-nationals', later lives a bohemian life, befriends Muslims, falls in love with Muslim girl and has a rather tragic end. Raza who wrote script of Mahabharat is a master and his command over the dialects of UP and understanding of human psychology, belief in secularism and communal harmony is unparalleled. 5. Raza's Adha Gaon or a Village Divided [recently translated in English] is another beautiful novel about Muslims, particularly the Shia Muslims and their culture, in country side of Uttar Pradesh [Ghazipur's rural and qasbah life]. 6. In Hindi, Manzoor Ahtesham's Sukha Bargad translated as 'A Dying Banyan'. 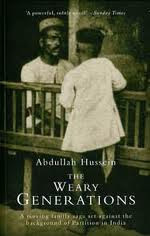 It has also become a sort of classic now as it explores Hindu-Muslim relations in the post-independence era. 7. 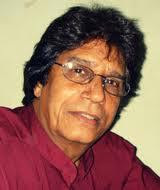 Another interesting one is Asghar Vajahat [or Wajahat's] 'Saat Aasmaan'. The novel has ample humour as Wajahat's characters have interesting anecdotes & stories to recount, which keep you hooked. Yet another Rahi Masoom Raza novel, 'Neem ka Ped' on which a TV serial was based, comes to mind. Rahi also wrote 'Himmat Jaunpuri', which is not too easily available these days. 8. Abdul Bismillah's 'Jhini Bini Chadaria' is considered a good novel as it deals with weavers of Benares though I was not impressed much with it. The fact that novel deals about poor Muslims and not Nawabs, Upper Class or Aristocrats is noteworthy. 9. A unique novel is Kaala Jal by Gulsher Khan Shani, one of the first Muslim writers to take up Hindi as a medium of expression, instead of Urdu. The setting is in remote Bastar, the heart of tribal territory. A television serial on the novel with Pallavi Joshi as lead character was quite a hit in the mid-80s. 10. Ilyas Ahmad Gaddi's brilliant work 'Fire Area' is about the miners in coal fields of Bihar. Gaddi's novel has been acclaimed one of the best works in Urdu fiction in India in the last decade or so. Unfortunately I haven't read it. 11. Musharraf Alam Zauqi's 'bayaan' is a major novel. It deals with the insecurities and frustration that had gripped Muslims after demolition of Babri Masjid and the riots in Mumbai, Surat etc. I have not read Syed Mohammad Ashraf's 'Nambardaar ka Neela' that got great reviews. There are other good Muslim authors who have written good novels but firsthand I remember these and all of them are a must-read. Amongst the earlier works is Hayatullah Ansari's voluminous Lahoo ke Phool, which I unfortunately couldn't read. 12. The query is about Muslim writers otherwise I was reading Ravindra Kalia's famous 'Khuda Salaamat Hai' and was enchanted by it. Set in a mohalla of a North Indian town that has an equal population of Hindus & Muslims, inhabited by shopkeepers, mullahs, pundits, tawaifs & all sorts of people, it depicts the strength of our common heritage & ganga-jamuni culture. Shamsur Rahman Faruqi has written 'Kai Chand The Sar-e-Aasman', but we await a magnum opus from him on partition and its impact on composite cultural heritage. Besides, Khushwant Singh's 'Delhi' is one of my favourites. No matter what people say about the 'vulgarity' in the novel, it remains the best work on Delhi along with Ahmad Ali's 'Twilight in Delhi' which is now considered a legendary work. Ahmed Ali's novel is in a class of its own. It gives a glimpse into the Dehlvi tehzeeb of yore, the life and culture in Delhi, before partition. And whenever it comes to partition, it is impossible to forget Saadat Hasa Manto. Among short stories I rank Hindi writer Nasira Sharma and her 'Patthar Gali' quite highly. In fact, I have suggested more than 20 novels by now. Enough for this post, I guess. At the launch of DD Urdu on August 15, Prime Minister Manmohan Singh said, 'Der aayad, durust aayad' in response to the delay in launch of the Urdu channel though all major languages of the country have national channel for over a decade now. In fact, Urdu channel was never a priority with the centre. It was only after pressure came from all quarters and government faced embarrassment in parliament several times over queries regarding the reason for not establishing a channel in Urdu that the decision was taken. The All India Radio's Urdu service that is immensely popular has also suffered this apathy. Its transmission is never clear and you always find one or the other transmitters non-functional causing disruption. Still, it is satisfying that Urdu has a national channel now. Yet to see it though. Will have to convince the cable-wala and then only I can comment about the content of the 7:30 hr news programmes that it will broadcast every 24 hrs. 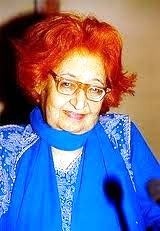 Poet Hayat Lakhnavi passed away on Tuesday. He was son of famous Urdu poet Azeez Lakhanvi. Hayat had four collections Hisar-e-Aab, Nadi-ke-Paar ka Manzar, Dariya RawaaN Rahe & Wasiila to his credit. He had recieved Mir Taqi Mir award and Delhi Urdu Academy awards amongst many others. Dhrupad maestro Ashgari Bai, 88, passed away at Tikamgarh on Wednesday. An exponent of this ancient style of Hindustani music, Asghari Bai was credited for taking forward the age-old tradition. She was a pioneering exponent of Dhrupad among women. Asghari was acclaimed for enriching the heritage of Indian classical music. Also, she had evolved a distinct style of her own. 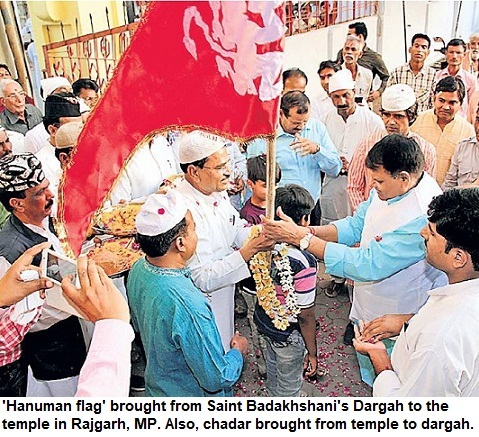 Asghari was buried on Thursday in Tikamgarh in Madhya Pradesh with full state honours. Crowned with umpteen national honours including the Tansen Samman, Shikhar Samman and Padma Shri, she was born in Bijawar in 1918. He mother Nazir Begum was associated with Chhatarpur state while grandmother Vilayat was employed with the court of Ajaygarh state. She was admitted in the hospital for a a long time. But whenever she gained consciousness, her fingers would start moving as if she was in the midst of a performance. 'Sumran kar man Ram naam ki...' was her favourite bhajan that came on her lips. Asghari never travelled outside and only preferred cycle-rickshaw. She felt that journey in train would be improper as her feet in the train could point towards holy places. She had learnt her basics under Ustad Zahurbakhsh Khan and acquired extraordinary expertise. However, she was living in penury after her children fought over her pension and for share in grants from the government meant for her. She was sick and lying unattended when media brought to light her plight early this year. The squabble among her sons Kamal, Ashok and daughter-in-law Saira, had left her bitter. She wished to stay with Parveen, her daughter. With Asghari ended an era. The first and last woman exponent of Dhrupad died leaving behind no one to carry the legacy. 1. United States of America is like Count Dracula always is search of blood and Petrol. 2. Israel is doing what Hitler did to Jews. All this must have come as music to Arab ears. 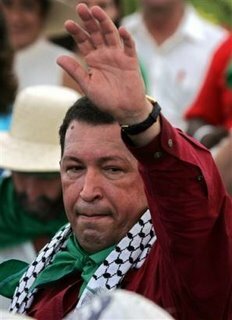 Chavez, whose stature has grown fast over the years as a flagbearer of American imperialism, and is clearly the heir apparent to Latin America after the ageing Fidel Castro, irked Israel with his interview telecast on Al-Jazeera. Venezuela has already pulled up its envoy from Israel and the latter has also temporarily called its ambassador. Now contrast it with what the Arab monarchs and 'leaders' of Middle-East like Hosni Mubarak. No wonder in 'chaai-Khaanas' you hear such harsh taunts on Arab leaders and even Arab populace. Saudi nahiiN Yahudi kahiye, that is the statement I have heard so often lately. Comparing Saudis (read monarchs) to Zionists reflect the anger and frustration at these undemocratic states and their consistent failure to diffuse any crisis in middle east. The similar knee-jerk reactions, calls for Arab league summit, emergency meetings, urging UN for action and the same dithering response everytime. A neighbour quoted an Urdu couplet that is not quotable at all ;) Of course, Muslim world must realise that it is not when Palestinians and Lebanese are suffering that they should temporarily feel angry at the Arab leaders. Otherwise also there are tremendous contradictions in the conduct of Arab states and their leaders. At least such conflicts can open the eyes of peple. The lesson drawns is that dozens of 'Muslim' states together can't stop this injustice to their fellow Muslims. And it's a Chavez who bats for them. The parameters should be justice and injustice. Arabs need real reforms and their leaders should stop their absurd theatrics. Sulabh Goyal was arrested for sending a threatening email to the President recently. It was a mischief but the boy felt there was a genuine reason for it. Most of the newspapers failed to understand his grievance. His friends use to make fun of him because Sulabh is also the name of a chain of public toilets all over India. In most of the cities Sulabh Shauchalayas can be seen. Comparison with loo or classmates saying like 'why go elsewhere to relieve, Sulabh is here', he must have felt miserable for no fault of his known. He had earlier wrote to higher officials at various levels to change the name of the chain of public loos but he never got any response. Perhaps he failed to realise the consequences of the email and intelligence agencies took him away. Scores of cops conducted the operation and it took a long time to arrest the boy who hailed from Ashok Nagar district. On a visit to Indore, he had sent the email from an internet cafe. Naturally tracking him was tough. However, it was a mischief so he may get off soon. But it also speaks volumes about how much children and teenagers suffer in their peer group over such minor things. All of a sudden the dilapidated tomb of Mirza Abdul Qadir Bedil, the great Persian poet, who was born in Patna, is getting a face-lift. The officials are busy sprucing up the structure and plaques would be put up about the poet. Incidentally, Bedil is very popular in Central Asia rather than India, where he was born and died. However, the upcoming visit of Emomali Rahmanov the Tajikistan President who is arriving in Delhi on August 6 has prompted officials into action. Rahmanov had expressed his wish to visit Bagh-e-Bedil on Mathura Road. Ghalib drew heavily from Bedil. Ghalib's couplet 'tarz-e-bedil meN reKhta kahnaa/asadullah khaN qayaamat hai' is well-known. Many other Urdu and Persian poets have been inspired from the 17th century poet who has great following in Afghanistan and Tajikistan. "Bedil az kulfat-e-shikasht mun'aal Bazm-e-hasti dukaan-e-shishagar ast (Bedil weep not for your losses, this party that is life, is after all held in a glassmaker's shop)." This is one of the most popular of Momin's all ghazals. It's quite a long ghazal that has nine couplets.